How do I use Interlaced video best in FotoMagico 4.4 and newer? With interlaced video being invented for the times of CRT screens, it is not required for modern flat screens and projectors. Todays screens and computers work with progressive images and video. Some cameras still record video in interlaced format instead of progressive scan. 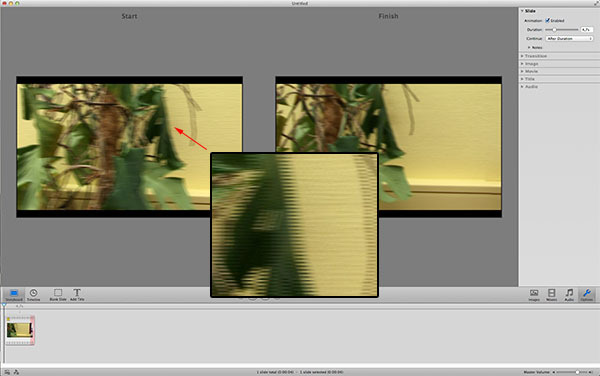 The new technology for handling media in FotoMagico 4.4 and newer no longer deinterlaces interlaced video. So in case your camera still records interlaced video, you might see something like this: ! [Interlaced Video](http://boinx.com/media/websnippets/2013_11_28_154145725.jpeg "") To make these videos usable for FotoMagico again, they need to be converted to progressive scan h.264 videos. To do this, you can of course use professional tools like Final Cut Pro or Apple Compressor. A free application like HandBrake will do just fine, too. No matter what application you use to convert, your original files will not be modified. # Download and install You can download HandBrake at [handbrake.fr](http://handbrake.fr/) and then install it to your /Applications folder. Next download our [Handbrake Preset](http://www.boinx.com/media/websnippets/Deinterlace_Handbrake_Plist.plist.zip). As soon as the download is done, extract the archive, launch HandBrake, click "Presets" in the menubar and choose "Import". In the file chooser, select the file you just extracted. # Adding videos Next, click the "Source" button on the top left and select the video you want to convert. ! [Source](http://boinx.com/media/websnippets/2013_11_28_162604287.png "") HandBrake will now load the movie file and enable all controls. All you need to do is selecting the "Deinterlace" preset on the right hand side. ! [Preset](http://boinx.com/media/websnippets/2013_11_28_163558830.png "") If you want to add more videos to be converted, click "Add to Queue" in the toolbar. ! [Add to Queue](http://boinx.com/media/websnippets/2013_11_28_163634502.png "") # Start the conversion If you only want to convert one video or have finished adding files to the queue, press the "Start" button in the toolbar. ! [Start](http://boinx.com/media/websnippets/2013_11_28_163839964.png "") # Converting At the bottom of the window, HandBrake will display the progress of the conversion queue. Depending on the amount and duration of the videos this might take a while. After the conversion is done, you'll find the converted videos on the desktop (unless you changed the destination directory). You can now use these videos in FotoMagico. I downloaded this preset and tried to use it in the latest version of Handbrake. My video is 2:18 minutes long, but only 24seconds was processed. Is there a time restriction on how long the videos it will process? Handbrake normally converts the full video. There is no duration limit. Since it isn't free as Handbrake is, I recommended Handbrake in this case. 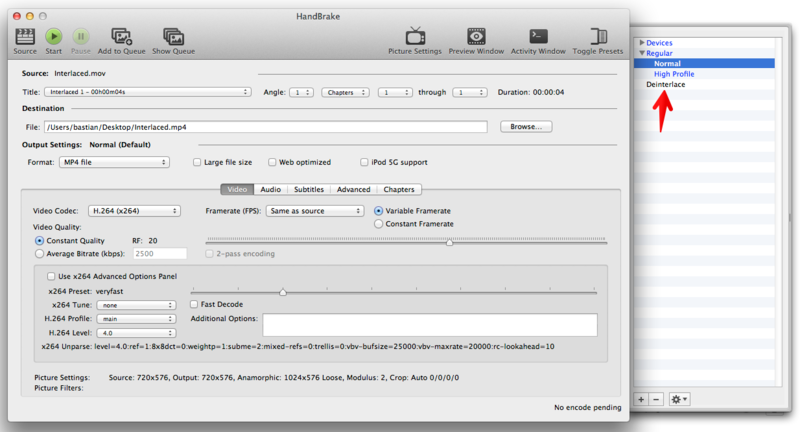 I used Handbrake for a long time and it always does a great job in video conversion. While some times it will not rip the whole DVD movie, or it starts, then stops after a second or two and says done. And this tutorial helps me out：http://www.videoconverterfactory.com/tips/handbrake-not-working.html That's great.